Smithsonian American Art Museum Renwick Gallery in Washington, D.C. 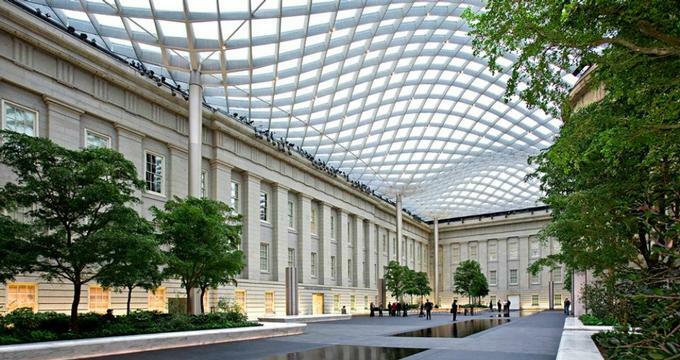 In 1859, architect James Renwick Jr., was hired to design an art museum located near the White House. 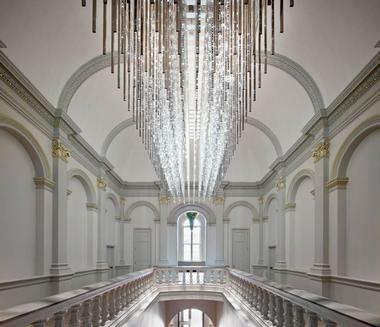 Renwick took design inspiration from the Paris addition of the Louvre and other European Empire architectural styles. In addition to using European architecture as inspiration, Renwick incorporated elements of America, such as an agricultural resemblance of corn located on the capitals of the building. Since Renwick was able to seamlessly create a museum that integrated European and American architecture, Charles Sumner, a senator dubbed it as the “American Louvre”. In 1861, the exterior of the Renwick Gallery was finished. But, the interior construction was halted due to the Civil War. In 1869, William Corcoran was able to continue his construction and display of his art collection. Finally, the Renwick Gallery was finished in 1873. One year later, it was official open to the public. Throughout 1899 to 1964, the fate of the Renwick Gallery was up in the air. On one side, Congress wanted to discontinue the Gallery and use it for another purpose. On the other hand, Jacqueline Kennedy fought to replenish Lafayette Square, which included maintaining the Renwick Gallery. Finally, in 1965, the Smithsonian’s secretary, S. Dillon Ripley, pitched the idea of the Smithsonian running the gallery. President Lyndon B. Johnson agreed to Ripley’s proposal, and the Renwick Gallery’s administration and facility was handed over to the Smithsonian. Throughout the mid-1900s, the Renwick Gallery underwent exterior and interior renovations that would enable it to showcase a maximum amount of artifacts. 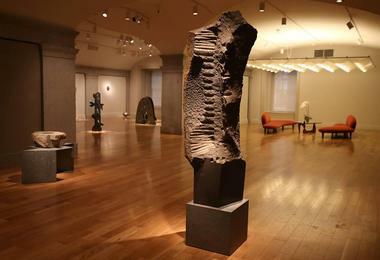 In 1969, the Gallery was registered under the National Register of Historic Places, and two years later it was regarded as the Lafayette Square Historic District’s National Historic Landmark. On January 28, 1972, the Renwick Gallery opened to the public as a branch of the Smithsonian American Art Museum. 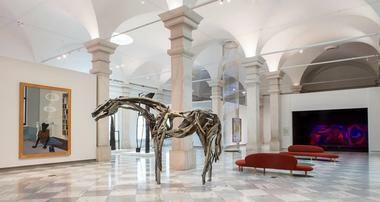 The new Renwick Gallery was designated as the site for preserving, displaying, and promoting American decorative arts and contemporary crafts. 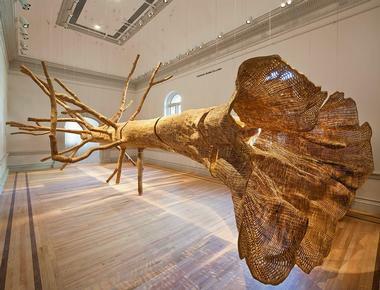 For more information about the Renwick Gallery’s permanent attractions, you can search through the Gallery’s official collection archive, which is located on their website. In addition to their wide display of permanent attractions, the Renwick Gallery regularly displays a variety of special attractions. Currently, the Renwick Gallery is not hosting any special attractions. But, they have a few upcoming special attractions. In order to obtain an updated list of special attractions, check out the Renwick Gallery’s official website. June Schwarcz: Invention and Variation showcases some of the most popular and renowned designs from artist June Schwarcz. Schwarcz is known as redefining decorative arts through her constant barrier pushing work that always seems to break the traditional “rules” of decorative arts. June Schwarcz: Invention and Variation will be on display from March 10, 2017 to August 27, 2017. Voulkos: The Breakthrough Years displays Peter Voulkos’ early career. The pieces within this exhibit are from 1953 to 1968. During those years, Voulkos used a combination of traditional pottery fundamentals and radial methods to create unique and extravagant ceramics. Voulkos: The Breakthrough Years will be showcased from April 7, 2017 to August 20, 2017. The educational opportunities at the Renwick Gallery are in conjunction with those at the Smithsonian American Art Museum. Educational opportunities are divided among the following categories; educators, Girl Scouts, professionals, and visitors. Educators are welcome to use any of the online and on-site educational resources the Smithsonian American Art Museum and the Renwick Gallery offer them. Many of these educational tools are free and help educators get their students interested and engaged with American art and history. On-site, Girl Scouts, students, and any other visitor are encouraged to engage with any class, workshop, or activity offered. For more information about the educational opportunities available at the Renwick Gallery, visit the Gallery’s official website, or contact them during their hours of operation.